This last week has seen the rains setting in and daily showers have greened up the countryside beautifully. 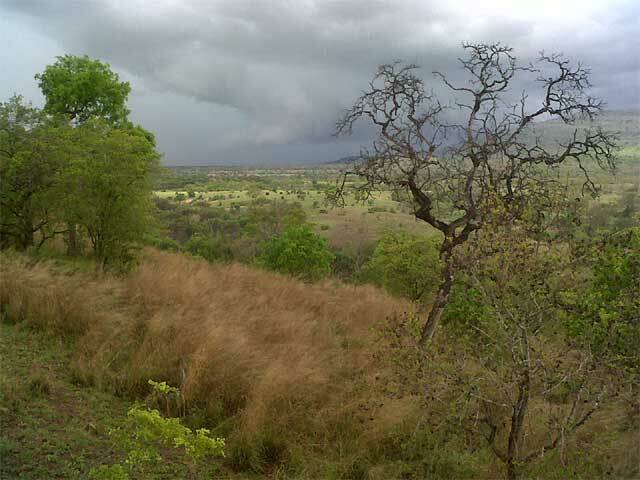 This afternoon I was making my way up past the western bandas when another shower swept past. This was the view from banda 3. All day we have been listening to the alternating shouts from impala, monkey and baboon in the valley below the camp. After the rains it became even more intense as the cats were obviously making their way into the open to dry themselves, but despite scanning with binoculars, we never saw them. This entry was posted in Sean, Wildlife. Bookmark the permalink.